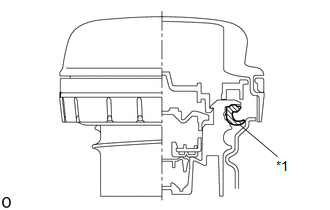 (a) Check the appearance of the fuel tank cap assembly. (1) Check that there is no deformation or damage to the fuel tank cap assembly or fuel tank cap gasket. If there is any deformation or damage, replace the fuel tank cap assembly or fuel tank cap gasket. 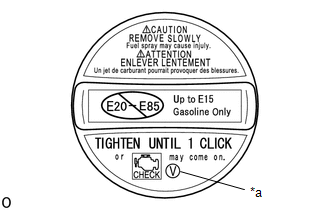 Confirm that ID mark V is printed on the replacement fuel tank cap assembly.